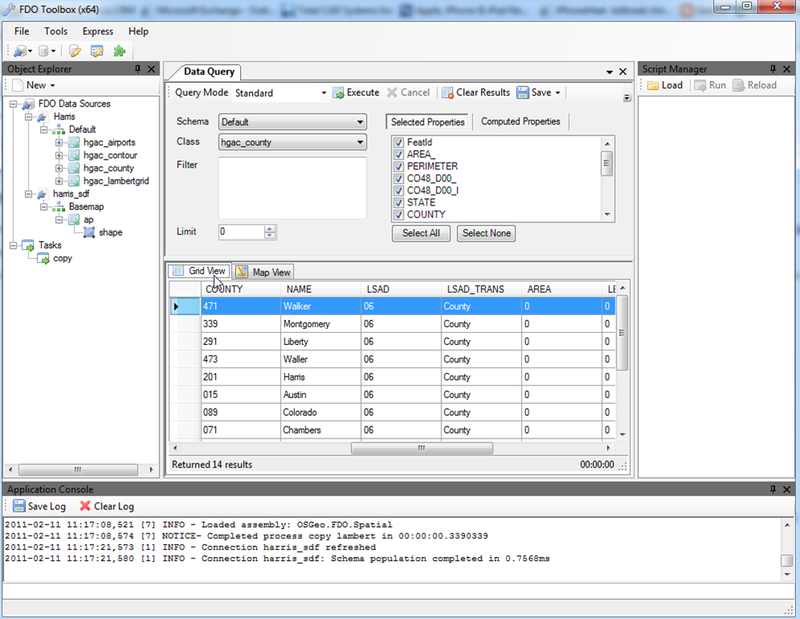 The FDO Toolbox is a GUI to the FDO API. 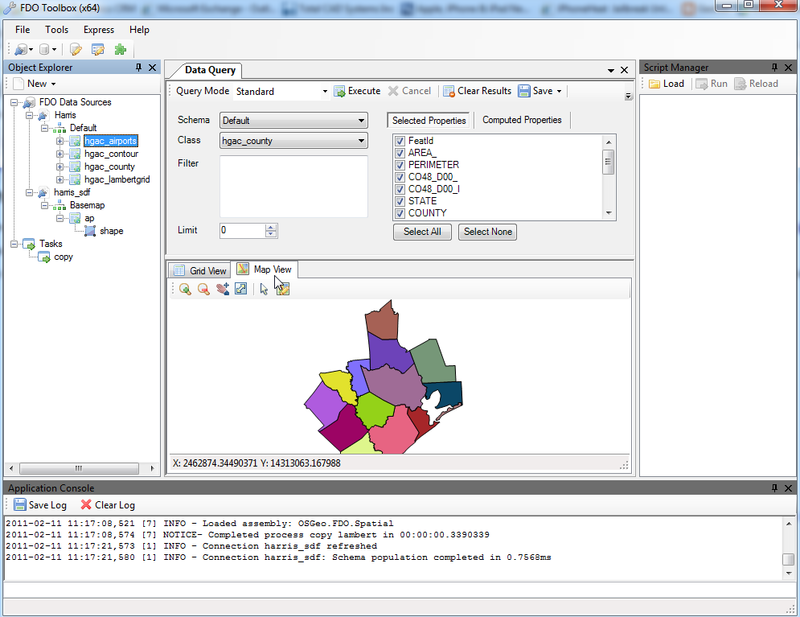 It is a free open source standalone application to create, analyze, and process spatial data. It has features like; Bulk Copy, Bulk Update, Bulk Delete and more…. In the Object Explorer pane there is a section for creating and saving Tasks. Map 3D, Civil 3D, and MapGuide Enterprise users will recognize the familiar Connect to Data. It also comes with a comprehensive User Guide. Below are some screenshots and links to the download site along with a link to Jackie’s Blog. FDO Toolbox supports 32 and 64 bit. Special thanks to Jackie Ng and the Open Source community. 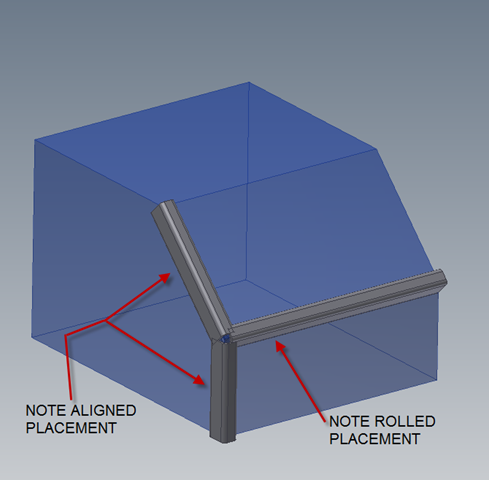 Working with Frame Generator, placing steel on a skeleton and achieving the proper alignment of the steel is a required tool every user needs to have in their bag. 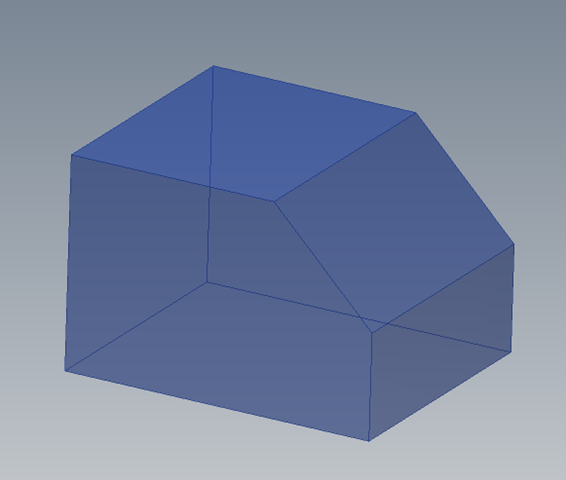 In following Tip we will show you the process to identify the alignment, pick the reference beam or axis, and finally place the needed steel part. The picture below is the Frame Skeleton part model we will work with in this example. 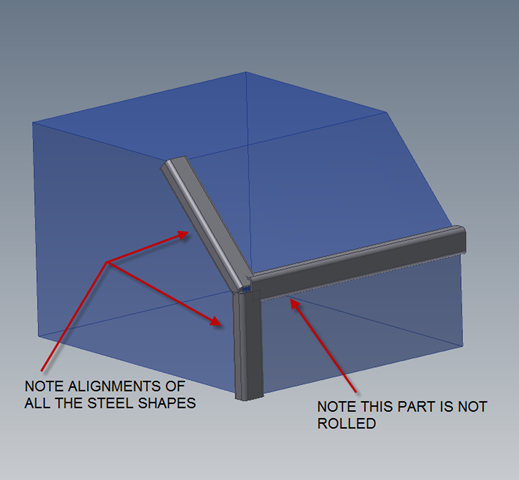 As you can see the potential for some steel shapes to align to a different angle (not vertical or horizontal) could be a problem for our design. 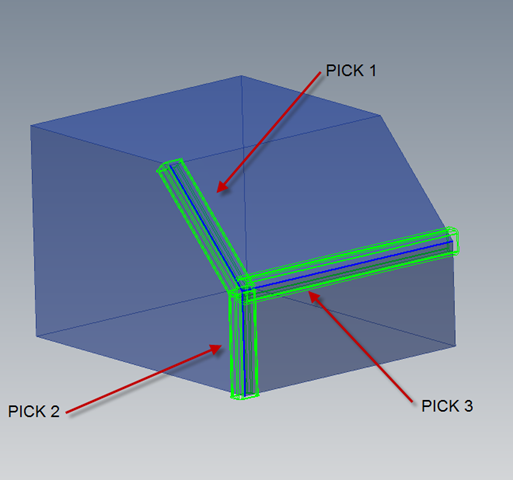 The figure below represents a completely different placement order, and if we examine the steel at “PICK 3” placement location we can see the roll of the steel is aligned with the steel placed at “PICK 2”. 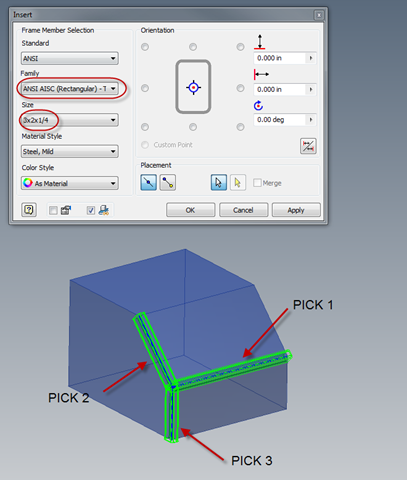 Selecting the position at “PICK 2” then selecting the “PICK 3” position will align the part to the previous pick location “PICK 2”. Working with Steel, what a Deal…!